It’s not too early to start dreaming of the Hamptons in the summer. Today’s home in East Hampton, New York is located around a mile and a half from Georgica Beach. This 9,500-square-foot home was built in 2016 and has clean architectural lines. There are a total of seven bedrooms with plenty of room for summer guests. 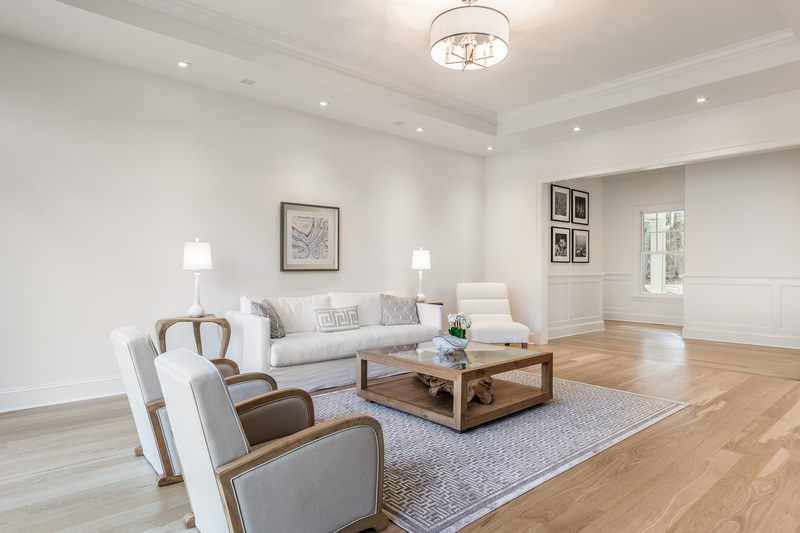 White walls and light hardwood floors help maximize the sense of light and spaciousness. 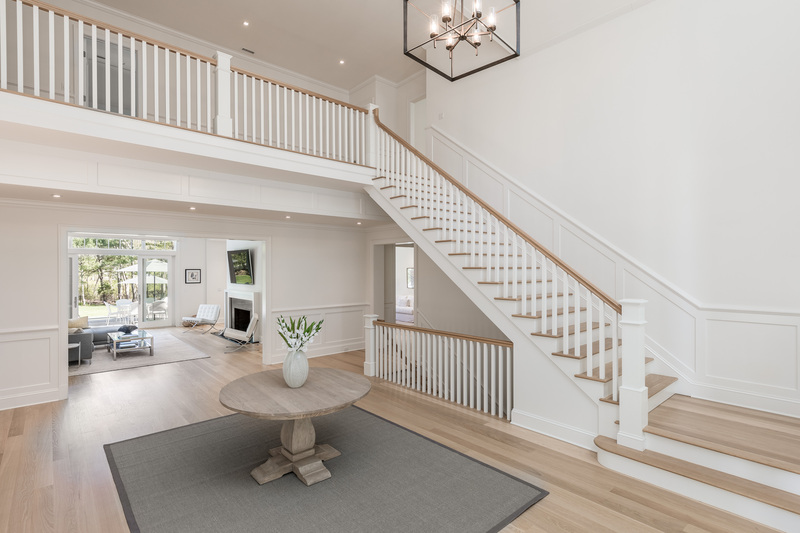 The double-height foyer makes for an impressive entrance leading to more intimate, yet spacious common areas centered around a gracious double-sided wood burning fireplace. 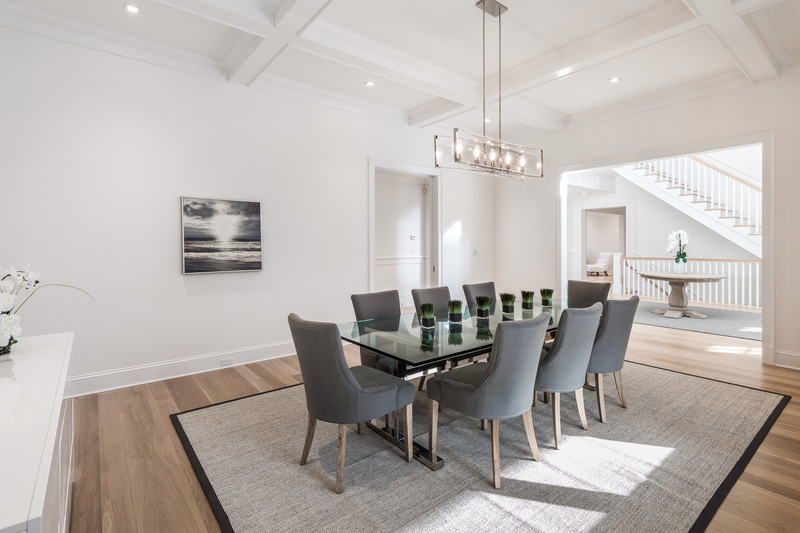 The main level also features formal dining, private study, a full bath leading to the pool area, laundry room, junior master, and attached three-car garage. 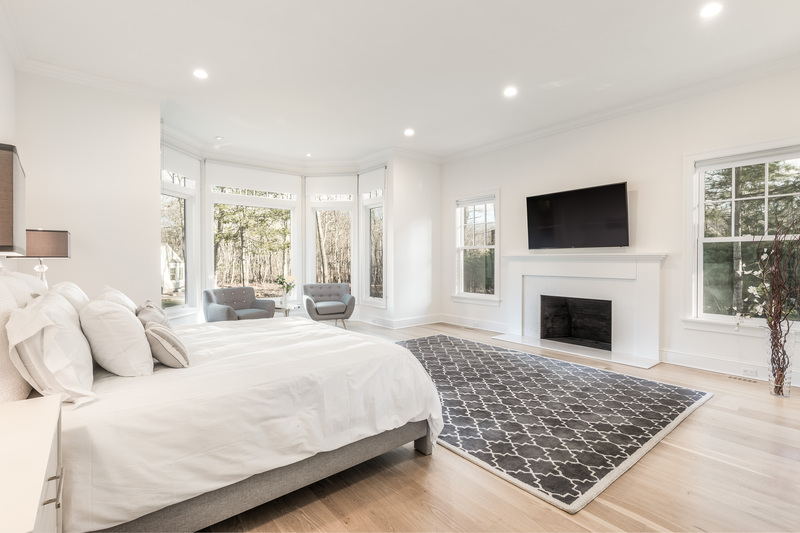 The second floor boasts a large master suite with ample closets set conveniently apart from the sleeping area, three additional en suite bedrooms, a large bonus room, and an extra laundry room. Two more bedrooms, which share a full bath are tucked privately off of the expansive lower level recreation area adjacent to the movie room. 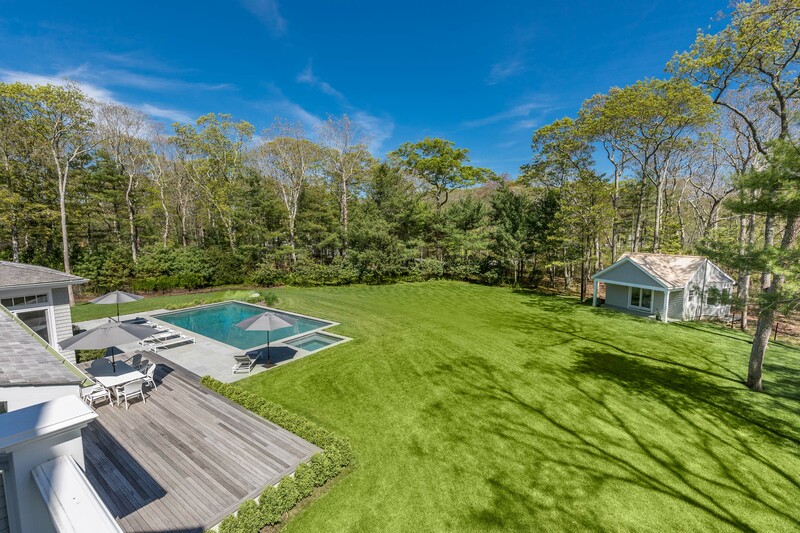 Outside, a lush lawn surrounds a blue stone framed heated gunite pool and spa. A pre-existing, fully renovated poolhouse with kitchenette, half bath and porch sits on the edge of the property maximizing the enjoyment of this 2.25-acre property. This home is listed for $6.95 million with Matt Burns of Compass Real Estate.